The Quality Hotel Sundsvall is centrally located, just a few streets away from stunning Stenstan. The hotel has 201 rooms, 25 conference rooms, a lobby bar and plenty of parking - perfect for both business meetings and cosy weekends away! Quality Hotel Sundsvall offers something for everyone! With 3000 m2 of conference space, lots of entertainment and modern restaurants, the facilities are some of the best equipped in Sundsvall. On the conference floor, there are seventeen conference and meeting rooms. In addition, we also offer eight cinema rooms at Filmstaden as well as its spacious entrance lobby during the daytime, perfect for lecturers and seminars. Filmstaden is at the entrance level in the same building. From function floor to concert hall to jazz club. 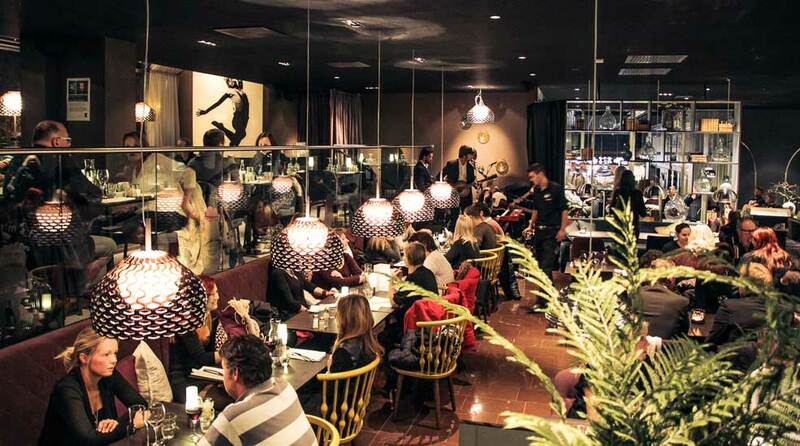 Scen Avenyn has the broadest range of entertainment in Sundsvall. With restaurants over two floors, we have a great range of entertainment combined with the opportunity to sit down, relax and enjoy company with something to eat and drink. Quality Hotel Sundsvall is just a few minutes' walk from Sundsvall's beautiful stone-built city with all the shopping and services you could wish for. The restaurants on Avenyn and Filmstaden offer lots of entertainment within the building but if you want more to choose from, we suggest the Himlabadet waterpark or Casino Cosmopol. In the summer, there are plenty of beautiful beaches along the coast of Sundsvall and in the winter, we offer great cross-country tracks and downhill slopes right nearby. Bus to bus stop Navet. 23 km, approx. 20 mins by car. Bus station Navet: 500 metres From here, you can take both local buses and coaches.